And now, Firefox OS launches an emulator for developer to test their apps and curious users to look around. It is available as a Firefox extension and it is pretty straightforward to install. The “experimental” simulator runs on Mac, Windows and Linux. Once you install the extension, it will stay up to date with the latest Firefox OS developments, so you don’t have to update it to have the current version. It is still version 0.7 and waiting to graduate into version 1. It’s main goal, of course, is to get developers interested in writing for the platform: “the Firefox OS Simulator is the easiest way to try out Firefox OS apps today and to verify how they’ll look before submitting them to the Marketplace,” a member of the Mozilla team said. The platform looks fairly conservative and we think that’s more of a good thing. You can check it out in our gallery below or hit the source to install the simulator on your Firefox. Looks good...! Almost all thing in the OS icons, number keypad, etc,.. Is rOund.. Yeah to be successful it should have some new appearance.!. Nokia belle's icon is also round . However i am wondering how can it runs nokia maps ? well, i dont know why PA still didnt post that nokia is rebranding its maps to "HERE" and will be available as an app to iOS (pending verification), android and firefox OS! which put me to some question, why is nokia supporting firefox OS? is it their plan B? 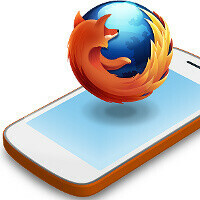 will they make firefox OS-base phones? coz why they will support something that isnt even available yet?! and even though BlackBerry is considered dead by hateful people, it still has many loyal fans and would love to have BB10! so why they didnt make one for BB10? it not really a platform for dumbphone..but it will target low-end phone! this is still an OS of a smartphone but its goal is low-end smartphone! but who knows!! but they really need to replace S40 if they want to stay relevant on low-end! but not really wishing for these firefox OS...but with Symbian! Apple will find a way to sue them. That's all apple is good at now. Good luck. The more, the merrier. Doesn't look bad... also, doesn't really seem to bring anything new to the table either. Either way, competition is a good thing. Competition is the true catalyst of innovation. Icon basically mix up from iOS, Android and Symbian. Task Manager similar to Windows Phone, HTC Sense and Symbian. Marketplace similar to BlackBerry appworld..... Well that amazing, but still i like it. the ui looks really beautiful imo.